Servicing heavy equipment is what Brown’s Heavy Equipment has been doing since 1980. Our team has a wide array of mechanical knowledge and experience on many different makes and models of earthmoving and construction equipment. From repairing a small oil leak and doing routine engine services to complete machine rebuilds, we can do it all. In the last decade, we’ve expanded our business by selling and renting equipment. We’ve also teamed up with several well established and highly trusted brands so that we can further accommodate our valued customers. 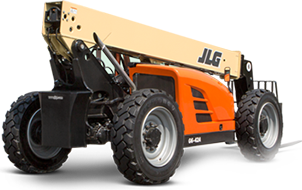 Most recently we’ve added material handling equipment to our selection and continue to broaden our fleet. In 2015, we installed a full service industrial paint booth at our shop, one of the largest paint booths in Iowa, and now we can make sure even the largest of equipment can look brand new, even after years of service in the field. In 2016, we added an Online Parts Store so our customers can get ahold of the most specialized, hard to find parts at a moment’s notice. Stay updated with the latest news!! We have had unmatched warranties in the industry since day one. We can guarantee the quality of our service. Copyright Brown's Heavy Equipment. All Rights Reserved.